for now I try to pimp my pseudo coop map. The target is to make AI flight to land on the same airfield, where humans spawn at parking, taxi to airfield and take off. 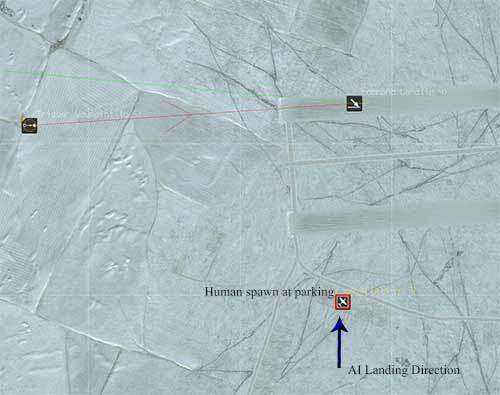 My problem is, the AI uses the spawn point as initial touch down location. When I then move the airfield on the runway, humans spawn on the runway. I could use two airfields, but it looks a bit like wanted but not capable to, as you see two airfields on the map (almost on top of each other), where just one is valid for humans. 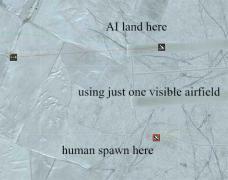 So is there a trick to achieve correct kanding and spawning on one airfield as described? I attached 2 screesnshots to make the problem more visual. The last one describes the target I would like to achieve. Hmm, I think you may have helped me with my current problem of getting an AI (spawned in, not enabled from the start) to take off from a "fakefield", namely, I haven't been successful yet. 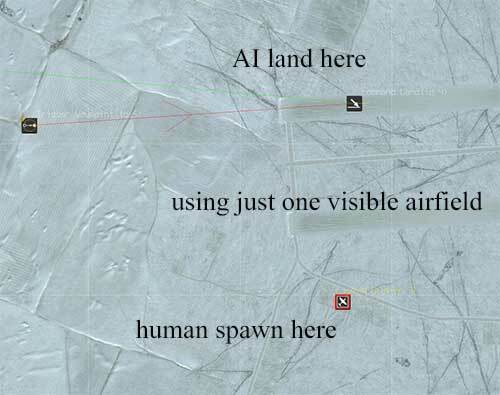 I wonder now if there's a correlation between a field that humans use and the inability of AI to use it to land and take off from (in gametype deathmatch). Am either not able to make AI start from parking ,using taxi to take off. I guess you are right, that this maybe correlates together in Deathmatch. But maybe some more folks got any different approaches on that? 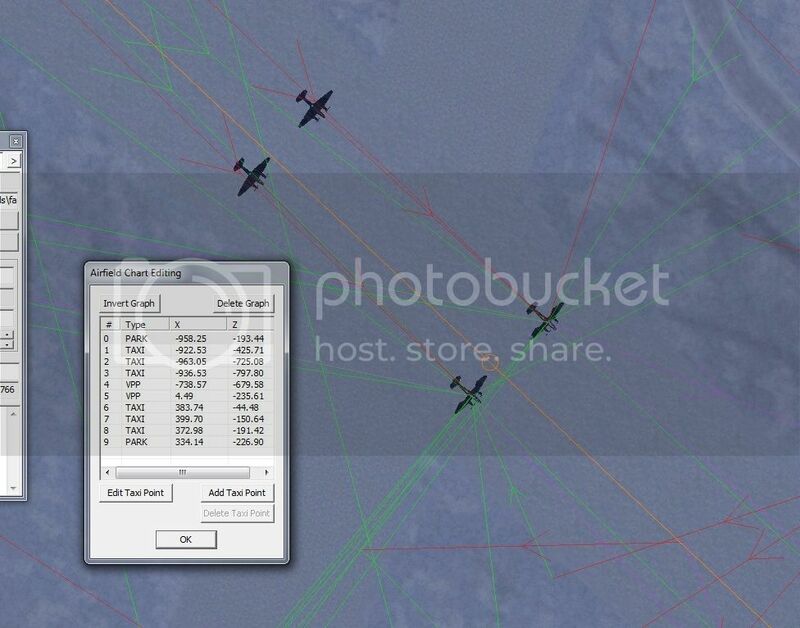 In my single player missions I have all kinds of problems when the player's flight and AI planes use the same airfield with a "fakefield". Either I am doing something wrong or the fakefield function is buggy. Nephris, have you noticed that you can edit the taxi path and runway path? Click the "Add chart" button, then edit the paths to taxi and take-off from the northern runway. 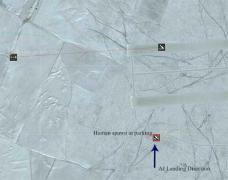 Players will spawn where the airfield icon is located, which would be on the southern parking place if you put it there. Yes I know about that chart. Will try to get the AI working by that in Deatmatch. However it doesnt seem to change the landing behaviour as the AI keeps pointing the touch down point on the airfield icon. 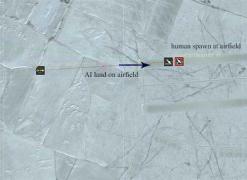 In RoF it didnt matter, as the airfields were real fields and no runways. I am having the same problem with this for my SP missions and since I dont know the answer to this I asked to the right person on the dev team about it, hopefully he can give me an answer on it or directly post it here. 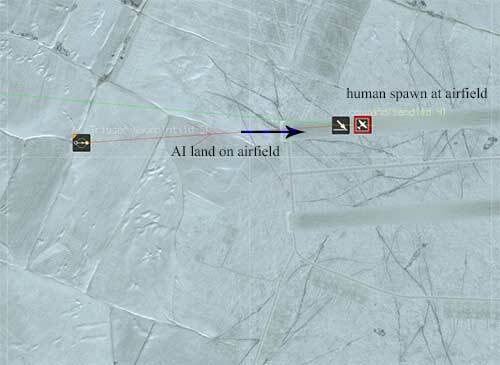 For AI to take off from fakefield they must be spawned almost in touch with the circle marker of the path set in editor and facing towards the direction of path arrow. 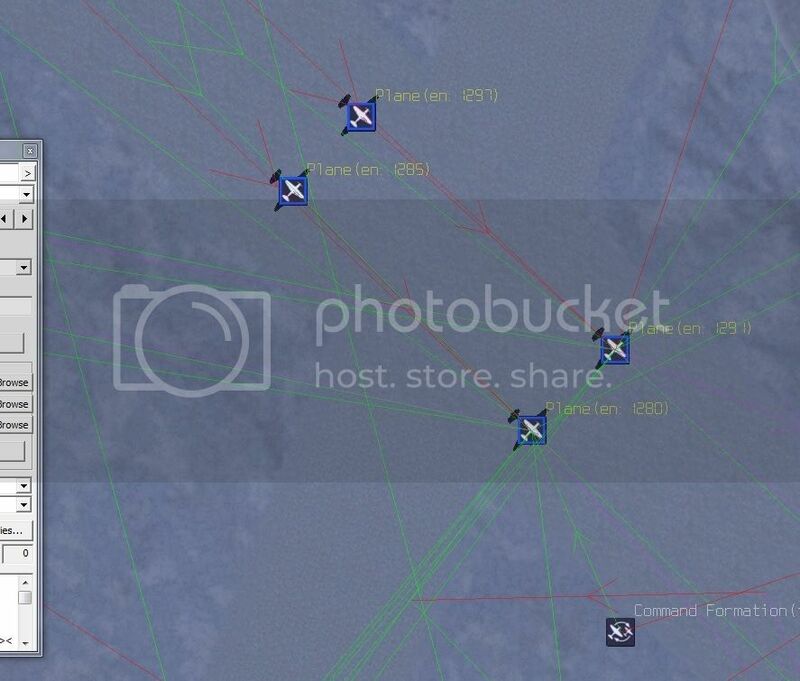 See where planes and toff point is, the 2 flights activate on player approach, they toff one after the other but if you put one them further from the starting point they just sit there. The take off procedure from the runway is actually no problem at all. and much more of a problem is to make them land on an airfield, where the spawnpoint is at parking side, where palyers actually spawn aswell. I hope for an input from the devs here- thx Haashashin.  I ll do some testing tonight (time forbidding from work) and I ll post results, although its a bad idea to mix spawn points of players and AI, high risk of crashes. In my dm AI land according to the runway path. Also do you use a spawner for AI or a trigger activate command? ohhh, Very helpful. Thanks for sharing this, Volker!